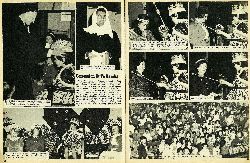 The Te Karaka Primary School's four week Queen Carnival came to a successful conclusion in the Waikohu Hall "palace" when the winning entrant, Maori Queen Cindy Ribbon, was officially crowned by the Lord High Chamberlain, Mr K. B. Dunlop, chairman of the school committee. The carnival was staged to help raise funds for additional equipment and amenities for the school's new swimming baths. 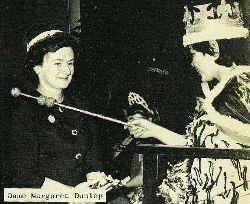 From the event, they benefitted by more than £900, having set as their original target, £750. 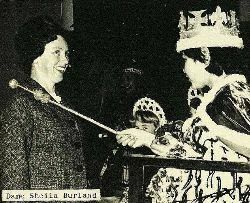 The winning Queen raised £344. 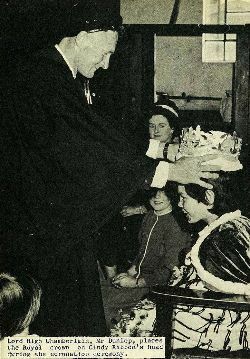 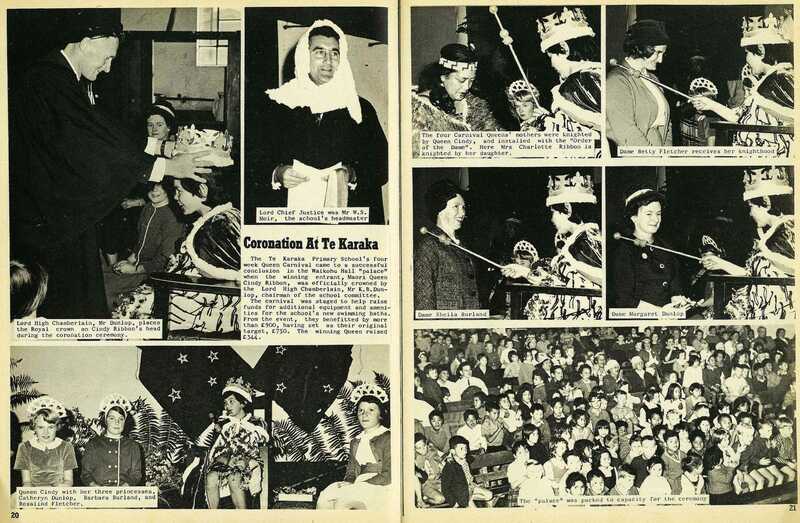 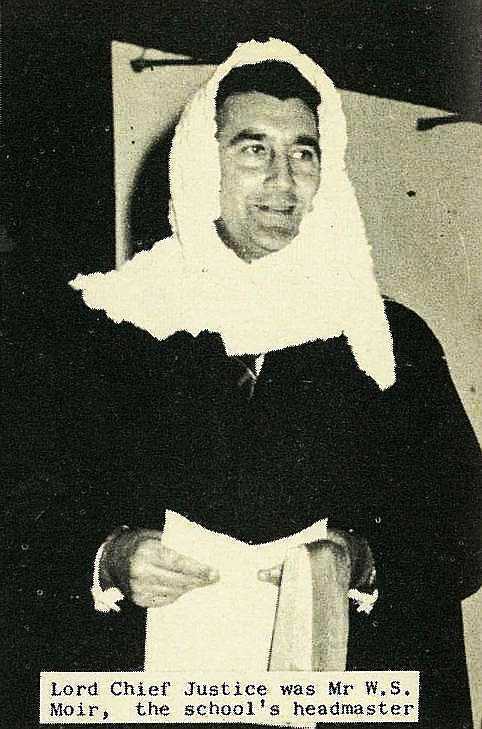 Lord High Chamberlain, Mr Dunlop, places the Royal crown on Cindy Ribbon's head during the coronation ceremony. 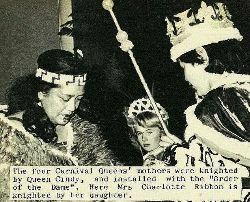 Queen Cindy with her three princesses, Catheryn Dunlop, Barbara Burland, and Rosalind Fletcher. The four Carnival Queens' mothers were knighted by Queen Cindy, and installed with the "Order of the Dame". 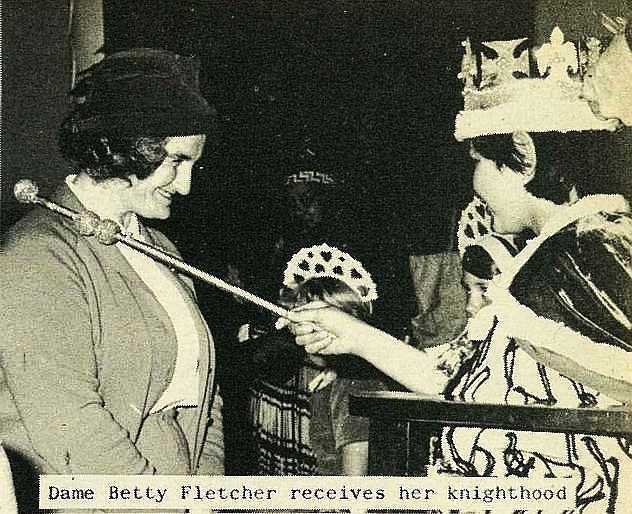 Here Mrs Charlotte Ribbon is knighted by her daughter.